When it comes to bedtime, Jennae and I have fallen into a little bit of a routine with our oldest son, Xander. He’s about 21 months old now and is a bundle of fun. 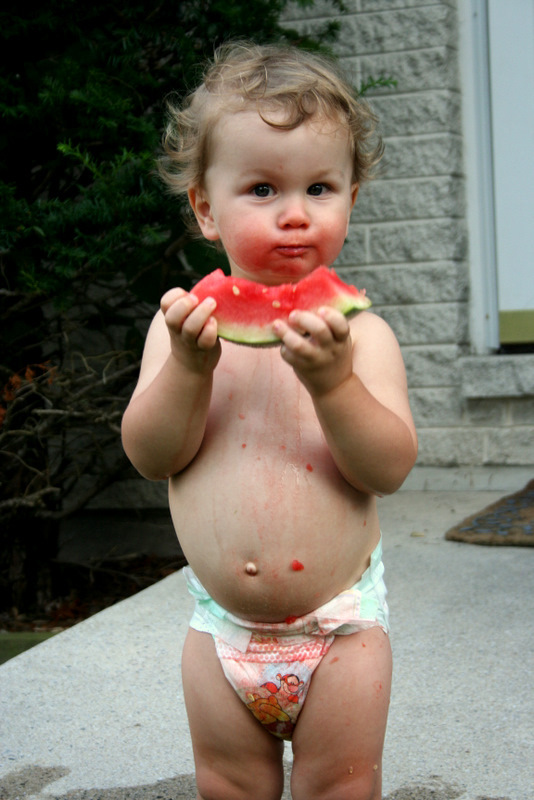 After we bath him and get him in his PJ’s, he usually gets a little snack (like watermelon… he loves watermelon). Then it’s off to his toddler bed. He runs to his bed and lays his head down on his bumble bee pillow and grabs his “lovey”; a little stuffed giraffe that has been loved much and laundered little. Laying amongst his 5 other stuffed animals and sucking his thumb, he utters, “munyic” (which translates as music for all of you who don’t speak “toddler”). Now, on some evenings, Jennae might be finishing something up before joining the bed-time routine. On the evenings where this is the case, I find myself in a bit of a pinch. I am not very proficient in the memorization of lyrics, regardless of the musical genre. I remember a line here or there… the ones that really strike me as meaningful stick with me. The rest are gone. So, my toddler is asking me to sing, which I enjoy doing for him… but my repertoire is severely limited. “Jesus Loves Me” and one verse of “Amazing Grace” is about all I can muster. So I sing what I’ve got… and the end of each song, Xander always says “maur” (which translates more). Sooner or later, Jennae comes in and rescues me; singing all 8 verses of “Blessed Assurance” or some other great old hymn. I love this time we have together, the three of us. 🙂 Soon, Rhys will be a part of this routine too… I love that our boys love music. So tonight, after putting Xander to bed, I was thinking about the words to “Jesus Loves Me”. Lately, I’ve been conversing with a good friend who has run into a bit of a difficult time reconciling these words with the suffering he sees in the world. The “problem of pain” (as it is commonly called) has struck deep into his heart. The words of these children’s songs are not easily reconciled with the fact that children are born into countries where war is a way of life; or poverty, sickness and suffering are all that is known. So many children never experience anything but pain and then die a horrible death. What does Christianity have to say for this? For my friend… neither of these answers is good enough. They aren’t good enough for me either. Why would God, having foreknowledge, create such that there would be those who would reject Him; those who would then end up suffering pointlessly? Why would he choose some and not others? A typical response may be, “He did this because it is by their suffering that our joy is more meaningful; it is for contrast.” To me this says that God does not love them after all. Foreknowing their rejection of Him and the suffering that would result, He is only using them. They are pawns to be sacrificed for His (and our) pleasure. This is not love. This is repulsive to me. If this is true, the songs I sang as a child are lies. He does not love all the children, He loves some and uses the rest to achieve His goals. I refuse to believe this of God. I believe God to be bigger than any of these answers. I believe that God will win the hearts of every man, woman, and child. He is still on plan A; He is not on plan B. He did not create, knowing that mankind would walk away from relationship with Him, only to save a few out of the whole. I believe He created knowing full well that He is powerful enough, patient enough, and loving enough to win every heart that He created. He does want, and will have, every man, woman and child freely choose to be in relationship with Him; as sons and daughters of our perfect heavenly Father. So what of this pain you ask? In this current age, He chooses to not intervene in the will of men; however, in the ages to come, He will have His way and all men will come to the place where they recognize Him in His fullness. I believe that He is a God of justice in the fullest sense of the word. I believe that all men are children of God. I believe that He will make recompense for all the unjust suffering of His children. I believe that there will be a day of reckoning for the prodigals who caused the unjust suffering of their siblings. But even for them, the prodigals, I believe their punishment will be for the purpose of redemption, and just as the father embraces the son in the parable, I believe God will always be waiting with open arms for the return of those He disciplines. You may ask, but what of His wrath for those who deserve “hell” for disobeying His commands? To this I answer that I believe that He loves his enemies, and does good to those who hate Him. This is why He sent Jesus. I believe that He will accomplish all He set out to do since before the first moment of creation. I know that Jesus loves all the little children. This entry was posted in Belief, Character of God, Everyday Life and tagged children, God, injustice, Jesus, Justice, love, pain, suffering, wrath. Bookmark the permalink.